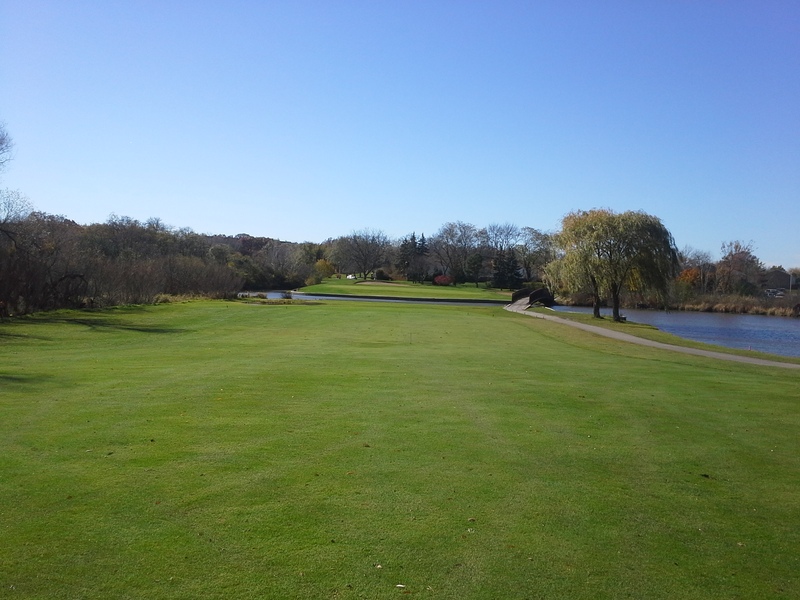 Fall golf is fun…even with aeration! Yes it’s that time of year…getting the golf course in good shape for the coming season. Don’t fret, we’re still putting a lot of work into the course this year. Autumn can be a great time to play and we want you to enjoy the course now! Weather conditions are directing the turf to harden off and head toward dormacy, therefore the plant is putting most of its energy toward the root system rather than its growth above ground. Because that growth is slowing down, greens are being mowed 3-4 times per week now compared to daily mowing in the summer…with very little sacrifice in speed. Tomorrow we will be aerating the greens through a process called Dryject. This will be the fourth consecutive year we’ve used this method and I believe the benefits are great; for now and next year. Through dryject, channels are created in the soil (3/8″ in diameter by 8″ deep) by sand injection that makes it much easier for air and water to reach the roots. Another big benefit of the dryject process is the finished product; greens are playable immediately after on a smooth and firm surface. Obviously this is much preferred over convential aerification methods of the past when greens were not very playable for a couple weeks. Fall is also an excellent time to make improvements to the bunkers. Our staff has been working hard to improve drainage in the sand traps. 2018 produced extreme amounts of rain (3 different months had rain totals that were all time highs). Needless to say the water pumps were busy; not to mention the shoveling of sand back onto bunker slopes that had been washed down. This picture of the bunker left of 4 green pretty much tells the story; sand mixed with the underlying soil in a bunker that had to have water pumped out a dozen times over the summer. This sand trap along with 7 others will have all the old sand/soil removed, followed by new drainage pipe installed, with fresh new sand added. I know that will please many a customer at Hilldale along with all those who work on the grounds. Thanks for your patience and understanding this season and I’d love to get your thoughts on the course now and in 2019. Here at Hilldale we’ve always been a welcoming golf course in the off-season. It’s not always possible as we have to be delicate with those putting surfaces, but frost is out of the ground and greens are firm so we’re good to go. Golf carts have to stay on paths as there are many wet spots on fairways and in the rough. It’s great to see so many familiar faces and hopefully we can do this many more times in March. The forecast for the coming week doesn’t look great, but I do think we’ll be able to open again tomorrow as rain and cold aren’t forecast to arrive until evening. After that we’ll just go day to day when determining if conditions are suitable to open the golf course. Hope everyone has a great day! Amazingly, after 4 in. of rain on Wednesday we didn’t have to close the course…in fact as of yesterday there were no cart restrictions in place! Pretty sure after 15 years as Supt. at Hilldale I’ve never seen this golf course firm up so quickly. Greens, tees, and fairways are doing great (Healthy Turf!) this summer but we’ll really have to baby them the next few weeks through the “dog days”. When the ground gets as saturated as it is right now and then you throw 90 degree temperatures into the mix, trouble is right around the corner! Turfgrass roots need air and water to survive but when the major % is water; the root system can’t breath and soon the turf will decline to the point where playability is extremely poor. There’s a good probability that our grounds crew (who I have to say are a great group of young men!) will have to create air space in the root zone by punching small holes with aerification equipment in our greens, tees, and fairways. 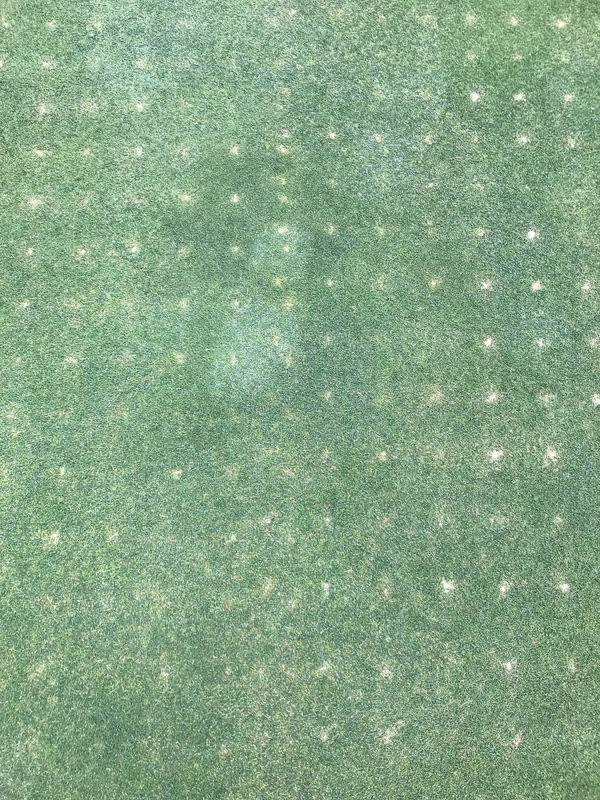 Please don’t panic because I’m not talking about traditional aerification that is done in spring and fall; the holes we create with small mini tines (picture the size of a pencil) will not be visible after using rollers to smooth up the putting surface immediately after. 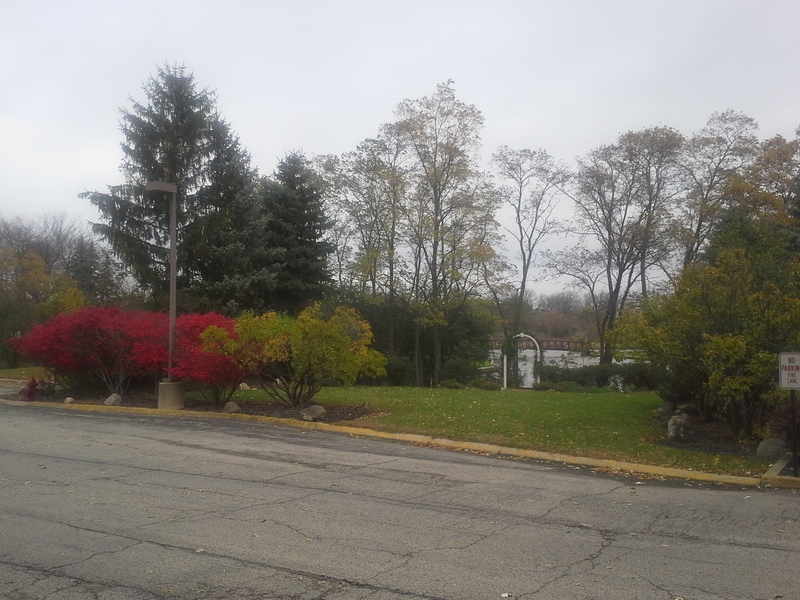 Thanks to everyone for your patience and patronage and I’ll look forward to seeing you on the Hilldale grounds! Well, April has dropped its usual amount of weirdness on us in 2017. With only one week to go until May we’re finally off cartpaths and hoping (praying) to stay dry the final few days of April. The month has seen 3.5″ of rain so far. 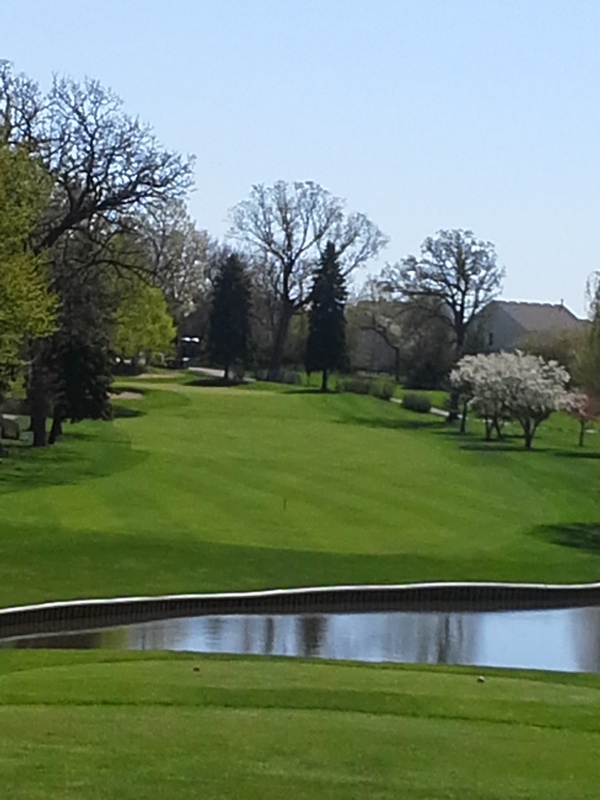 All areas of the course have been mowed several times now with turf conditions hanging strong despite the water surplus. The greens still have a ways to go before mid-season speeds are realized, but the combination of mowing and rolling on alternate days has helped maintain a good “ball roll”. A light to medium layer of sand topdressing is planned for tomorrow and Tuesday, which will help further to improve putting quality now and into the season. A few drainage issues…brought into focus by the recent rains are also on our to-do-list for the coming week. Small areas on both 10 and 18 fairways should have drain pipes added before next weekend. As always, we appreciate your patience with projects/practices like those listed here. Especially with sand topdressing on greens…we’ll try to get it applied and brushed in prior to any golfers coming through. Welcome to a new (2017) season! 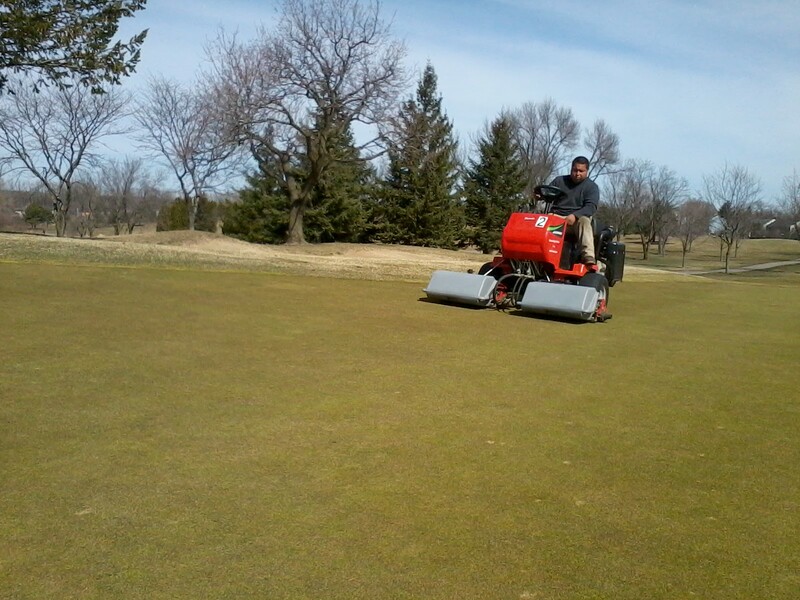 This picture shows the first mowing of greens two weeks ago. We feel very good about the condition of the greens at this early date. 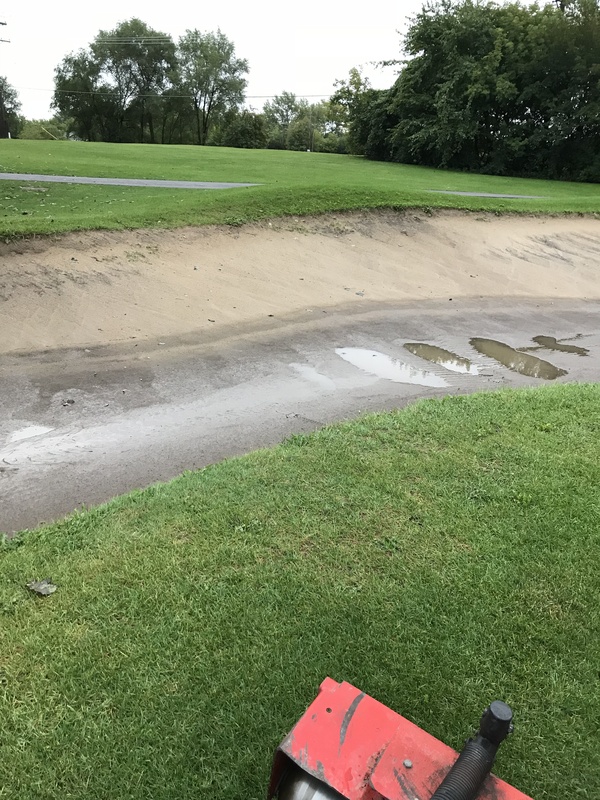 As you well know by now nearly 2 inches of rain fell on Thursday and so obviously carts will have to stay on cartpaths at all times…Please! 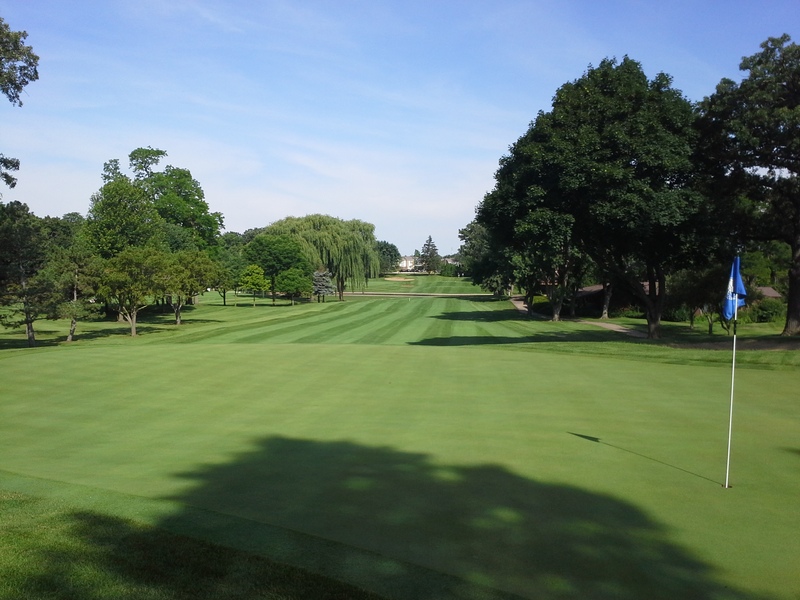 Course cleanup (sticks, branches, leaves etc…) has been in full gear this past week and the staff is doing a great job preparing the place for another season. The course is very busy today despite all the rain recently and boy is it great to see the sun shining. We’re planning on mowing greens again tomorrow with our smaller walk-behind mowers. These mowers are used approximately 75% of the time once we get into our routine of mowing everyday, but the main reason we’re using tomorrow is because of the very soft conditions. Thanks for playing Hilldale! It’s pretty rare when you get four consecutive days of 70 degree weather in November but that’s what we’re looking at this week…so come out to Hilldale GC and enjoy. All aerification has been completed this fall which is always a good feeling heading into the offseason. 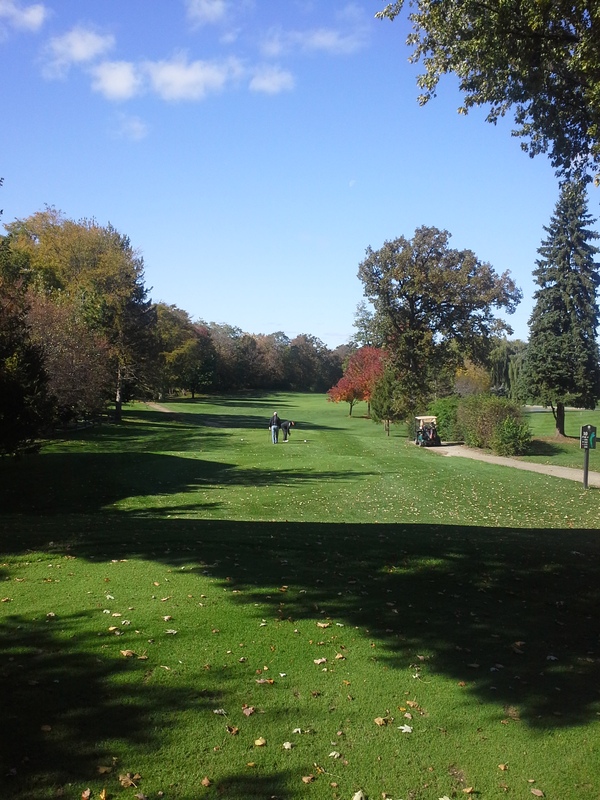 Keeping the course clear of leaves is a continuous job right now, but that will also start winding down soon. The grounds staff, who have once again done a great job keeping the course in fine playing condition, will hopefully have enough good weather to complete a few more jobs on the to-do-list (mostly bunker projects) this fall. With the latest 30 day accuweather forecast looking good, it should be awhile until we start talking about the off-season coming into play. As any of Hilldale’s regular players can attest, the course will remain open until greens can no longer handle foot traffic. 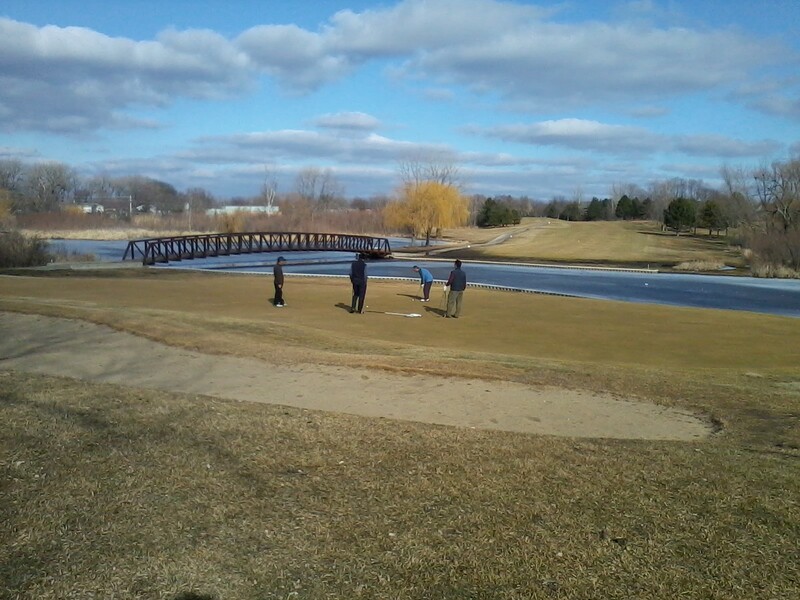 Wet conditions will force us to keep carts on paths…a normal procedure at any time of year.